Image retrieved from inapcache.boston.com on February 17th, 2014. Image retrieved from www.redferret.net on February 17th, 2014. Image retrieved from hempforyou.com on February 17th, 2014. Image retrieved from www.hitachi-pt.com.sg on February 17th, 2014. Image retrieved from www.wespeaknews.com on February 18th, 2014. Image retrieved from sensiseeds.com on February 18th, 2014. Text retrieved from www.420magazine.com on February 17th, 2014. On the morning of April 26, 1986, a small town in the former Soviet Union was the site of a nuclear explosion that literally shook the earth. 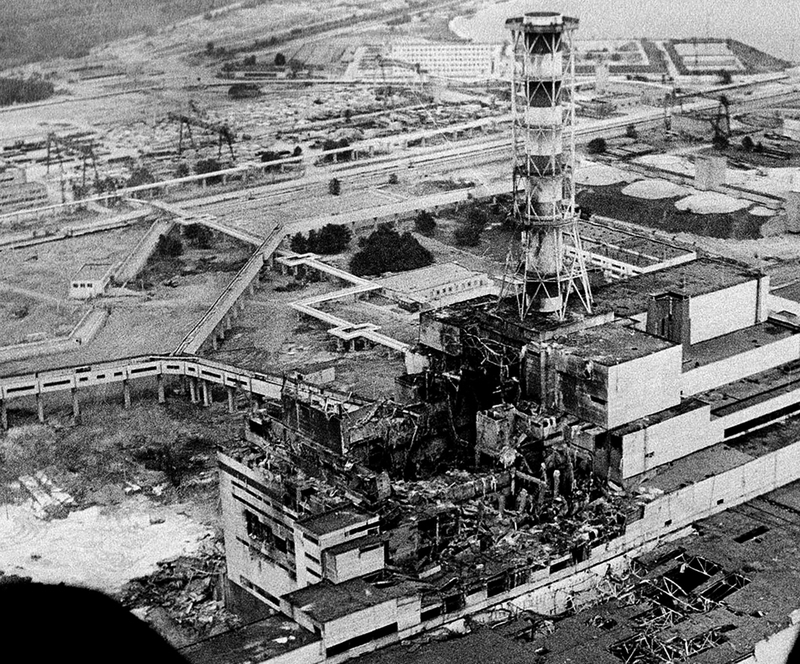 The historic accident at Chernobyl Nuclear Plant Reactor 4 in the Ukraine caused severe radioactive contamination. 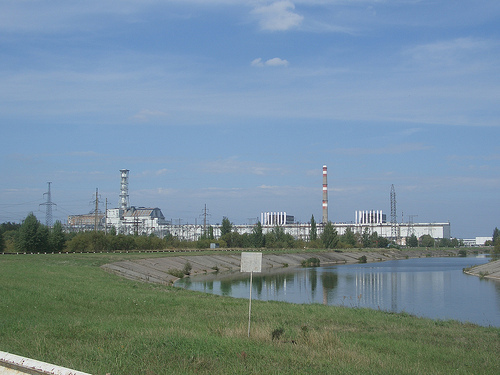 Families within a 30-km zone of the power plant were evacuated, and in the months that followed, extensive contamination was discovered in areas up to 100 km from the site. Scientists are hopeful that plants may play a key role in cleaning up some of the contamination. In 1989, three years after the explosion, the Soviet government asked the International Atomic Energy Agency (IAEA) to assess the radiological and health situation in the area surrounding the power plant. Among the most significant findings were radioactive emissions and toxic metals--including iodine, cesium-137, strontium, and plutonium--concentrated in the soil, plants, and animals. Such substances are potentially harmful to human health. For example, although iodine tends to disappear within a few weeks of exposure, it can be inhaled or ingested and then accumulated in the thyroid gland, where it delivers high doses of radiation as it decays. Since 1991, the Canadian Nuclear Association has noted a marked increase in the incidence of thyroid cancer in the area surrounding the nuclear accident. Cesium-137, radioactive cesium with a mass number of 137, can enter the food chain and deliver an internal dose of radiation before it is eliminated metabolically. To prevent further spread of these toxins, it was determined that livestock should be allowed to feed only on uncontaminated plants and on plants not tending to accumulate toxic metals within their tissues. Then a soil cleanup method was employed using green plants to remove toxins from the soil. This technique is phytoremediation, a term coined by Dr. Ilya Raskin of Rutgers University's Biotechnology Center for Agriculture and the Environment, who was a member of the original task force sent by the IAEA to examine food safety at the Chernobyl site. Phytoremediation is a process that takes advantage of the fact that green plants can extract and concentrate certain elements within their ecosystem. For example, some plants can grow in metal-laden soils, extract certain metals through their root systems, and accumulate them in their tissues without being damaged. In this way, pollutants are either removed from the soil and groundwater or rendered harmless. Today, many researchers, institutes, and companies are funding scientific efforts to test different plants' effectiveness at removing a wide range of contaminants. Raskin favors Brassica juncea and Brassica carinata, two members of the mustard family, for phytoremediation. In laboratory tests with metals loaded onto artificial soil (a mix of sand and vermiculite), these plants appeared to be the best at removing large quantities of chromium, lead, copper, and nickel. Several members of this family are edible and yield additional products such as birdseed, mustard oil, and erucic acid, which is used in margarine and cooking oil. Researchers at the DuPont Company have found that corn, Zea mays, can take up incredibly high levels of lead. Z. mays, a monocot in the Poaceae or grass family, is the most important cultivated cereal next to wheat and rice, yielding such products as corn meal, corn flour, cornflakes, cooking oil, beer, and animal feed. Phytokinetics, a company in Logan, Utah, is testing plants for their ability to remove organic contaminants such as gasoline from soil and water. Applied Natural Sciences in Hamilton, Ohio, is taking a slightly different route by using trees to clean up deeper soils, a process they call "treemediation." University researchers from the UK reported in the May 1999 issue of Nature Biotechnology that transgenic tobacco plants can play a role in cleaning up explosives. In February 1996, Phytotech, Inc., a Princeton, NJ-based company, reported that it had developed transgenic strains of sunflowers, Helianthus sp., that could remove as much as 95% of toxic contaminants in as little as 24 hours. Subsequently, Helianthus was planted on a styrofoam raft at one end of a contaminated pond near Chernobyl, and in twelve days the cesium concentrations within its roots were reportedly 8,000 times that of the water, while the strontium concentrations were 2,000 times that of the water. Helianthus is in the composite, or Asteraceae, family and has edible seeds. It also produces an oil that is used for cooking, in margarine, and as a paint additive. H. tuberosus was used by Native Americans as a carbohydrate source for diabetics. In 1998, Phytotech, along with Consolidated Growers and Processors (CGP) and the Ukraine's Institute of Bast Crops, planted industrial hemp, Cannabis sp., for the purpose of removing contaminants near the Chernobyl site. Cannabis is in the Cannabidaceae family and is valuable for its fiber, which is used in ropes and other products. This industrial variety of hemp, incidentally, has only trace amounts of THC, the chemical that produces the "high" in a plant of the same genus commonly known as marijuana. Overall, phytoremediation has great potential for cleaning up toxic metals, pesticides, solvents, gasoline, and explosives. The U.S. Environmental Protection Agency (EPA) estimates that more than 30,000 sites in the United States alone require hazardous waste treatment. Restoring these areas and their soil, as well as disposing of the wastes, are costly projects, but the costs are expected to be reduced drastically if plants provide the phytoremediation results everyone is hoping for. Meanwhile, of the original four reactors at Chernobyl, Reactors 1 and 3 are still operating today, providing 6,000 jobs and about 6% of the Ukraine's electricity. Reactor 2 was closed after a fire in 1991; the construction of Reactors 5 and 6 came to a grinding halt after the explosion. "Sunflowers Bloom in Tests to Remove Radioactive Metals from Soil and Water," Wall Street Journal, 29 February 1996. From Plants Sites & Parks magazine, May/June 1996: Attacking the Root of the Problem. Copyright: 2000 The McGraw-Hill Companies. Contamination of land and water is a growing concern for the health of the environment. Conventional practices in the remediation of contamination usually involve expensive processes such as land filling or incineration of soil. Phytoremediation uses plants to accumulate certain metals in plant biomass or accelerate contaminant breakdown. Phytoremediation can be used to accumulate, immobilize and transform low levels of pollutants from soil and water and is more economically and environmentally sound than most other remediation practices (Vidali, 2001, Blaylock et al., 1999, Ha et al., 2009, Datta and Sarkar, 2005). Hemp was used in 1998 by Phytotech and Ukraine’s Institute of Bast Crops for removing contaminants near Chernobyl. Many studies have been conducted since to determine the suitability of hemp for phytoremdiation. In many studies hemp has displayed a very high tolerance to contaminants. It also has a greater adaptability to different soils and climatic conditions and has added benefits of being a rotational crop which can improve soil quality (Vandenhove and Van Hees, 2005, Citterio et al., 2003, Angelova et al., 2004). A study by (Shi and Cai) looked for potential energy crops which could be grown on cadmium-contaminated land. Plants which offer end products such as biodiesel offer great economic value for landholders of contaminated soils. Hemp was found to be highly cadmium-tolerant and very useful in bioaccumulation of cadmium due its ability to accumulate cadmium in shoots. 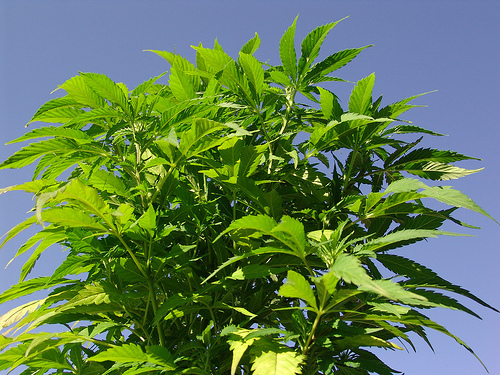 Hemp was also noted for having a high capacity for phytostabilisation. Phytostabilisation-uses plant structure to stabilize contaminants reducing the bioavailability and mobility of the contaminants in the soil, preventing them from entering the food chain or groundwater (Prasad and Freitas, 2003, Schwitzguébel, 2001). Hemp is tolerant to contaminants, has the ability to accumulate and stabilise contaminated areas and, unlike most plants used in bioremediation, it offers additional end uses. Hemp can provide both an economic and sustainable solution to the contamination of soils worldwide. ANGELOVA, V., IVANOVA, R., DELIBALTOVA, V. & IVANOV, K. 2004. Bio-accumulation and distribution of heavy metals in fibre crops (flax, cotton and hemp). Industrial Crops and Products, 19, 197-205. BLAYLOCK, M. J., ELLESS, M. P., HUANG, J. W. & DUSHENKOV, S. M. 1999. Phytoremediation of lead-contaminated soil at a New Jersey Brownfield site. Remediation Journal, 9, 93-101. CITTERIO, S., SANTAGOSTINO, A., FUMAGALLI, P., PRATO, N., RANALLI, P. & SGORBATI, S. 2003. Heavy metal tolerance and accumulation of Cd, Cr and Ni by Cannabis sativa L. Plant and Soil, 256, 243-243-252. DATTA, R. & SARKAR, D. 2005. Genetics of Metal Tolerance and Accumulation in Higher Plants, John Wiley & Sons, Inc.
HA, N. T. H., SAKAKIBARA, M. & SANO, S. 2009. Phytoremediation of Sb, As, Cu, and Zn from Contaminated Water by the Aquatic Macrophyte Eleocharis acicularis. CLEAN – Soil, Air, Water, 37, 720-725. PRASAD, M. N. V. & FREITAS, H. M. O. 2003. Metal hyperaccumulation in plants - Biodiversity prospecting for phytoremediation technology. Electronivc Journal of Biotechnology, 6. SCHWITZGUÉBEL, J. P. 2001. 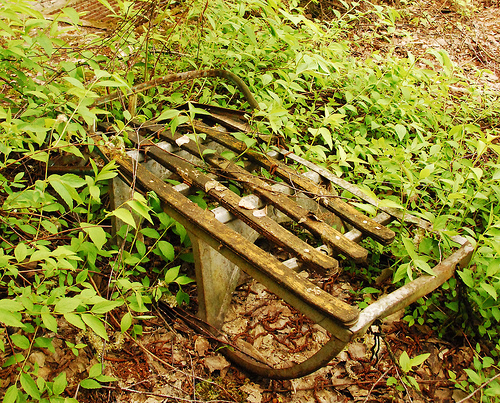 Hype or Hope: The Potential of Phytoremediation as an Emerging Green Technology. Remediation Journal, 11, 63-78. SHI, G. & CAI, Q. Cadmium tolerance and accumulation in eight potential energy crops. Biotechnology Advances, 27, 555-561. VANDENHOVE, H. & VAN HEES, M. 2005. Fibre crops as alternative land use for radioactively contaminated arable land. Journal of Environmental Radioactivity, 81, 131-141. VIDALI, M. 2001. Bioremediation. An overview. Pure and Applied Chemistry, 73, 1163-1172. Text retrieved from www.examiner.com on February 17th, 2014. (CleanEnergy.org) As reported in the New York Times today: two reactors at the Fukushima Daiichi plant 170 miles north of Tokyo appear to have suffered partial meltdowns and three reactors at the nearby Fukushima Daini plant are dealing with failures in the cooling system. Releases of volatile radioactive elements have occurred, though the exact amounts are not yet known. Reports have stated that radiation levels have exceeded permissible limits and over 200,000 people living around the two nuclear power plants have been evacuated. There are reports that several plant workers have experienced significant radiation exposure, a confirmation that at least one worker has died and more than 160 people outside of the plant are also contaminated with radioactivity. Radioactive cesium has been measured, a sure sign that the nuclear fuel has been damaged. I've been teased by friends and family that no matter what the story is on the news, I can find a way that it ties to marijuana. This story is no different, though I preface my tie-in by expressing the sincerest condolences for the people of Japan (including Japanese cannabis activists Gomyô, Hannabis, the Hoodie Monks, and Taku) and the horror they're dealing with and will continue to deal with for months. The tie-in between marijuana and Japan can be found in the efforts to clean up the soil following the 1986 Chernobyl nuclear disaster in the Ukraine. McGraw-Hill Higher Education) In 1989, three years after the explosion, the Soviet government asked the International Atomic Energy Agency (IAEA) to assess the radiological and health situation in the area surrounding the power plant. Among the most significant findings were radioactive emissions and toxic metals--including iodine, cesium-137, strontium, and plutonium--concentrated in the soil, plants, and animals. Such substances are potentially harmful to human health. For example, although iodine tends to disappear within a few weeks of exposure, it can be inhaled or ingested and then accumulated in the thyroid gland, where it delivers high doses of radiation as it decays. Since 1991, the Canadian Nuclear Association has noted a marked increase in the incidence of thyroid cancer in the area surrounding the nuclear accident. Cesium-137, radioactive cesium with a mass number of 137, can enter the food chain and deliver an internal dose of radiation before it is eliminated metabolically. Getting those toxic and radioactive elements out of the soil is crucial to restoring the ecosystem after a nuclear disaster. A technique called "phytoremediation" uses certain plants to leech these elements from the soil... guess which one is one of the best at that task? Good old industrial hemp, cannabis' non-drug cousin that our government bans because our police are too uneducated to tell the difference. Phytoremediation can be used to remove radioactive elements from soil and water at former weapons producing facilaties. It can also be used to clean up metals, pesticides, solvents, explosives, crude oil, polyaromatic hydrocarbons, and toxins leaching from landfills. "Hemp is proving to be one of the best phyto-remediative plants we have been able to find," said Slavik Dushenkov, a research scienst with PHYTOTECH. Test results have been promising and CGP, PHYOTECH and the Bast Institute plan full scale trials in the Chernobyl region in the spring of 1999. In Belarus, site of the original Chernobyl disaster, they are not only using the hemp to clean up the soil, they're making money on the processing of that hemp into biofuel! CannaZine.co.uk) Belarus Foreign Minister Sergei Martynov said: "We consider ethanol to be one of the most promising and sustainable sources of cheap and nature-friendly energy, and we have several advantages for its production here. "Belarus is probably the only country in Europe with vast territories which can be used for biomass production, the lands affected by the Chernobyl catastrophe 21 years ago. (JapanHemp.org) However, the cannabis control law was enacted under GHQ under the United States occupation after World War II in 1948. As a result, an annual license from the prefecture governor was needed to grow hemp . It felt that the farmer was the same as making of the cultivation of hemp the narcotic drug because of the licensing system degree. After that, hemp products of the plant origin disappeared one after another by the spread of the life use goods of the oil origin in postwar days. And the number of farmers who grow hemp has decreased gradually. At least Japan does have some hemp farmers and laws that will allow them to get started on hemp phytoremediation as soon as possible. If an American nuclear reactor melted down we'd have to go through all the politics and argument and legislation necessary to repeal a federal prohibition of industrial hemp as a Schedule I drug before we could plant the first non-drug hemp plants to begin saving the land. Here in Oregon as in a few other American states we have already legalized industrial hemp and could begin planting it the minute the federal prohibition is lifted. Text retrieved from sensiseeds.com on February 18th, 2014. Hemp science is now advancing in leaps and bounds compared to the stagnation of the previous few decades. One significant area of research that is currently receiving particular attention is phytoremediation, or decontamination of soil—although the discovery that hemp leaches contaminants from soil has been known for some time. As well as in the Ukraine, much rural land in neighbouring Belarus was affected by the explosion, and authorities there are also pursuing the use of hemp as a decontaminant. The harvest produced will be turned into ethanol, as increased production of biofuel is a key target for increasing the overall economic and environmental health of the region. Excessive consumption of foodstuffs high in cadmium can lead to joint and bone deformities, respiratory illness, anaemia, and kidney failure. In areas where cadmium is present in the soil, in order to be safe for human or animal consumption, hemp varieties should be selected on the basis of poor cadmium uptake.